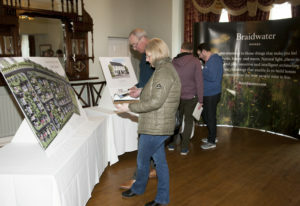 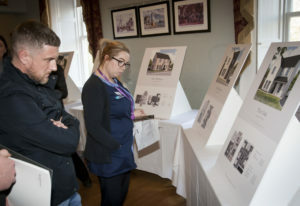 The information evening for Beech Hill View took place at the Beech Hill Hotel last Wednesday, with over 50 interested parties in attendance. 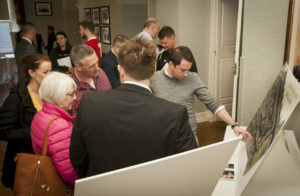 At the event, potential purchasers were able to review the newly unveiled brochure which includes the 11 house types, floor plans and homely turnkey specification available. 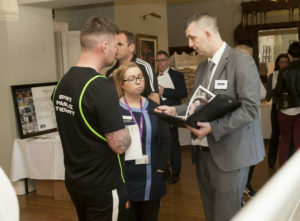 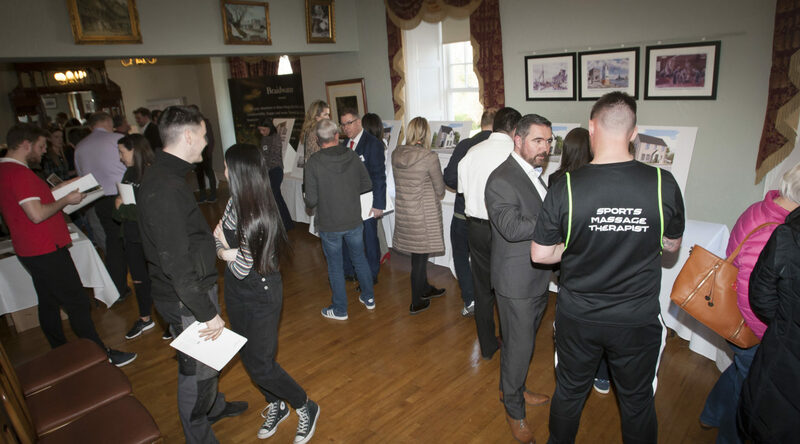 Also in attendance at the event were representatives of Donnybrook Estate Agents who discussed the latest availability and pricing, as well as finance experts from Co-Ownership, Danske Bank and Smart Mortgages. 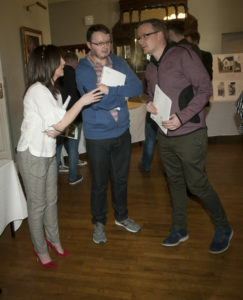 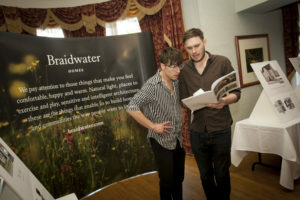 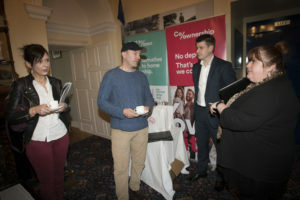 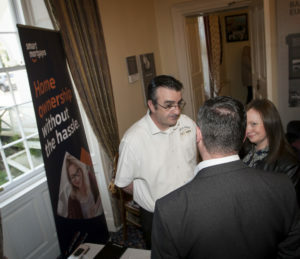 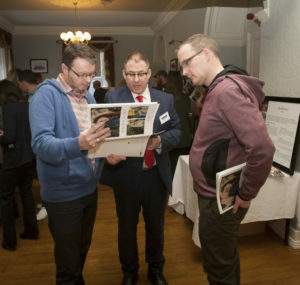 Stephen McCarron (centre), Donnybrook Estate Agents, discussing the brochure detail at the information evening. 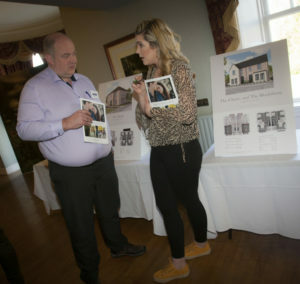 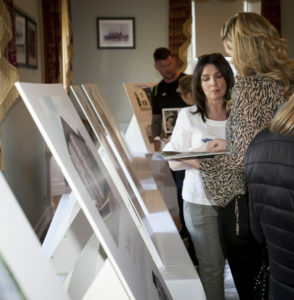 The information evening was held in advance of the first release of homes which takes place at 9am on Wednesday 17th April at Donnybrook Estate Agents on Spencer Road. 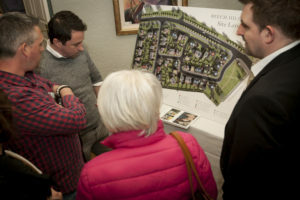 You’ll find well-considered design everywhere at Beech Hill View. 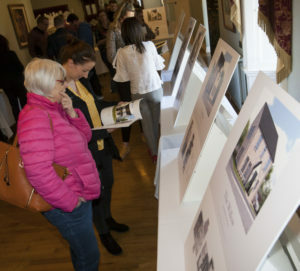 From the spacious front facing ‘Paddock’ that gives the development its community village feel, to the clever use of space in every kitchen, no aspect of modern life has been overlooked. 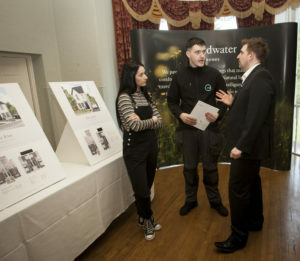 Secluded gardens offer peaceful sanctuary, a wide boulevard places traffic further from pedestrians. 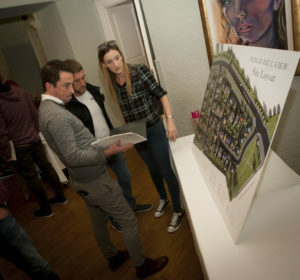 Front gardens and a well-lit jogging and walking trail offers well-being on your doorstep.